What does warped space look like? 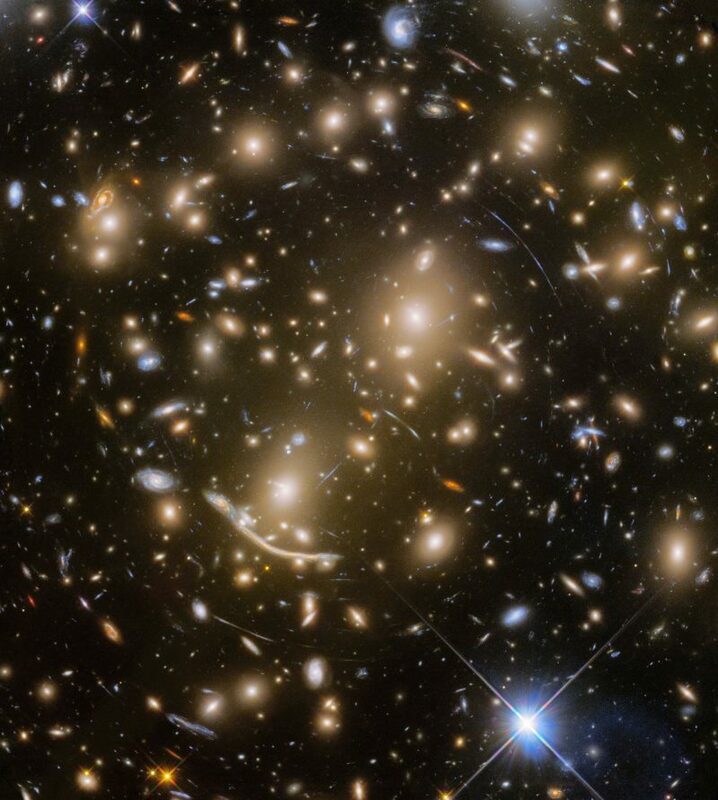 This stunning image, taken by the Hubble space telescope, is of the Abell 370 cluster of galaxies. But look closely, and you'll see that some of those galaxies look to be distorted into very odd shapes - lines and arcs of light. It's as if we're looking at them through a huge sheet of warped glass. We're not. Have you ever tried getting a quote for double glazing? No one has that much glass. The culprit is the immense gravity of the cluster, which distorts the fabric of space - and that magnifies and warps the images of galaxies into these weirds arcs of light. The US air force has, for years now, been running a small fleet of teeny unmanned space shuttles, called the X37B's. True, it sounds like an indie pop band, but these spacecraft regularly travel out into space to... well, no-one's entirely sure, since their missions are top secret. But what we do know is that last week one returned to Earth after a mission lasting nearly two years - a record breaking length of time. Residents of were in no doubt about this, as the sonic boom it caused as it re-entered our atmosphere shook windows.